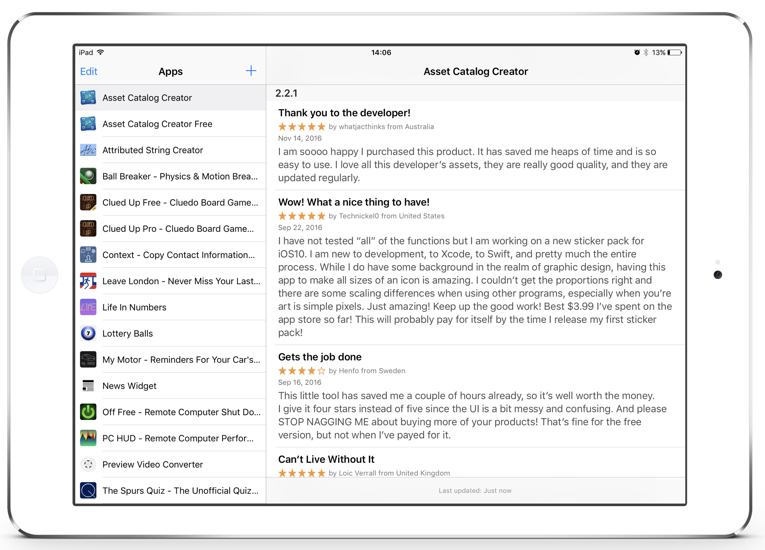 Receive rich push notifications for new user reviews on the App Store. Pick as many iPhone, iPad or Mac apps as you like and App Review Monitor will find all the reviews posted for them from around the world. The App Store is available in over 150 countries, but most the time you're only seeing the reviews in your local country; missing out on valuable customer feedback. App Review Monitor combines all these sources into a single, easily manageable, inbox.